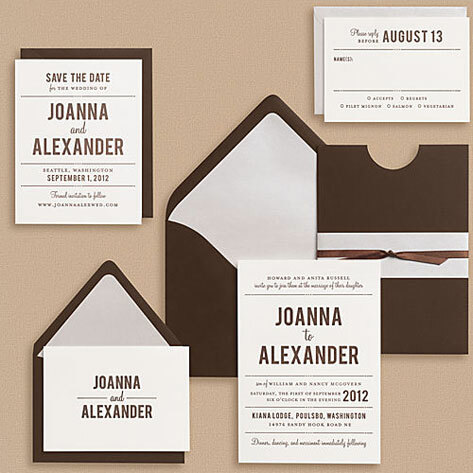 This fresh Playbill wedding invitation design is reminiscent of a vintage playbill, featuring bold chocolate brown type and minimal graphic elements. A surprisingly modern look for an invitation inspired by the past. Shimmer silver papers give this invite a fun, festive feel. The reply card and other enclosures fit neatly inside the half moon enclosure, finished with satin ribbon and a paper sash.